Welcome to school! 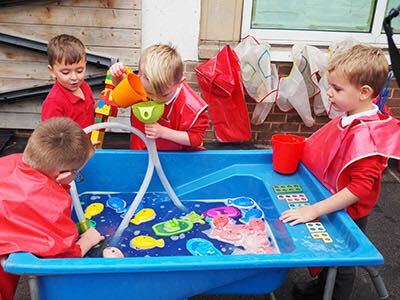 During the Autumn term, the children will spend time getting to know their new teachers and class mates, learning the routines of the school day and exploring and investigating the exciting classroom, both indoors and outdoors. Children will be engaging in many circle time activities where they will talk about themselves, noticing similarities and differences and celebrating these differences within our classroom. 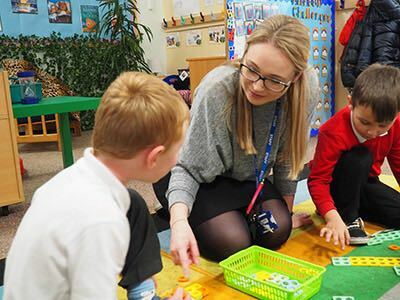 Whilst getting to know one another, children will share information about themselves such as their likes and dislikes, as well as talking about their friends and families. 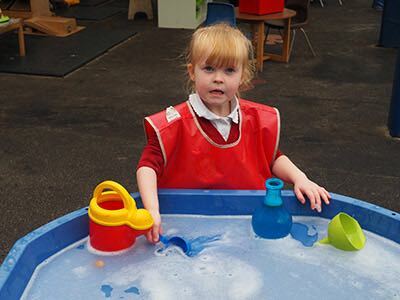 Following on from this, children will learn about and explore their senses. 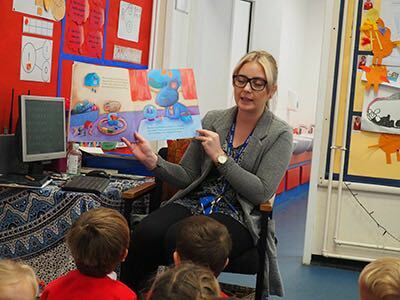 Through the story ‘Handa’s Surprise’ children will get to feel, smell and taste different fruits, talking about and sharing their thoughts and ideas. Using some of the fruits they will also print patterns, looking at colours and textures. 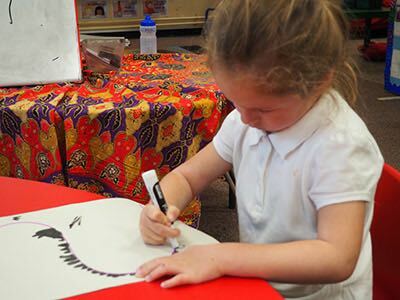 Towards the end of the term, Reception children will continue learning about ourselves and extend to our local community by learning about different faiths, cultures and celebrations. During November and December we will be celebrating Halloween, Diwali, Bonfire Night and Christmas by learning how people celebrate in different ways. Over the weeks, children will learn different dance routines associated with festivals, try different foods associated with celebrations and have the opportunity to dress in traditional clothes. Prepare to be ‘WOWED’ in our class assembly! In the Spring Term, Reception will be going on a Bear Hunt! Children will learn of the adventure one family goes on, looking for a Bear! Exploring the different scenes in the text in our own outdoor classroom, children will learn to re-tell the story in their own way using Talk for Writing methods. They will make their own story maps, and use language from the text to retell the story with actions. Following that, Children will sequence the story events and write what is happening, as well as re-living the story outside walking through grass, mud, forest and a snow storm! But they will need to be careful… there might be a Bear on the loose! Following on from Bear Hunt, we will continue to use Talk for Writing to learn and retell the story of ‘The Little Red Hen’. Children will map out the different aspects of the story on a story map, writing words and sentences to explain what is happening. Using their story maps, children will be able to retell the entire story and act it out using drama techniques and perform to one another. After this, we will change the story’s character to make our own stories as well as learning an alternative traditional tale. Don’t miss our class assembly where you will see our learning showcased! In the second half of the Spring Term, children will learn all about changes and growth over time. They will explore physical changes, such as how we grow from a baby to an adult and measure ourselves to explore this change. This will lead onto looking at new life in Spring and the changes that occur from farm animals, to life cycles of butterflies, caterpillars, chicks and frogs. Following this, children will learn about different types of animals that live on a farm, that can be found in a Jungle, in the arctic and in the dessert. Using a map to locate areas in the world, children will also learn about their habitats. As the weather begins to get warmer, children will learn about new life and have the opportunity to visit a farm to see signs of new-life first, such as lambs, piglets and calves. In the Summer Term, Reception will be learning about Superheroes! First they will be looking at the book ‘Supertato’ – a story about a potato who saves other vegetables from The Evil Pea! Through the story children will be working together to solve problems that the Evil Pea has caused in the classroom! Children will report on what happened and write to Supertato for help! We will use using real vegetables to role-play the story ‘Supertato’ reciting the language used in the text. Being encouraged to tell the story in our own words develops confidence, speaking, listening and language skills. Children will then create their own super hero and decide what super power they hold, how they use their power and to help who. Also, they will have the opportunity to discuss healthy and non-healthy foods with the children; they might even get to taste some! Following this children will begin to learn about designing our own superheroes, thinking about what powers they will have and how they could save the world! 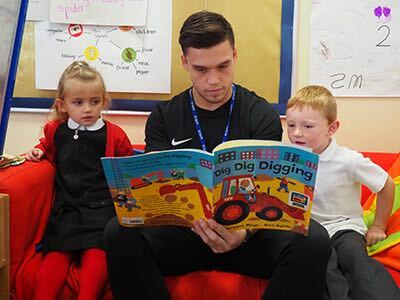 In the final half term, children will be immersed in Traditional stories such as Little Red Riding Hood, Three Billy Goats Gruff, The Gingerbread Man and many more. They will learn what makes a good story, by exploring characters and settings of texts and the way stories are written with a beginning, middle – conflict, end. Children will be expected to write their own stories similar to a traditional tale. Following the whole school trip to Bridlington, the final few weeks will be spent learning about the Seaside… Oh we do like to be beside the Seaside! In addition to this, Children will be diving deep into the ocean to learn about animals that live under the sea. Through the story ‘Commotion in the Ocean’, children will learn about the features of these creatures and their habitats. Parental support is paramount in Reception. 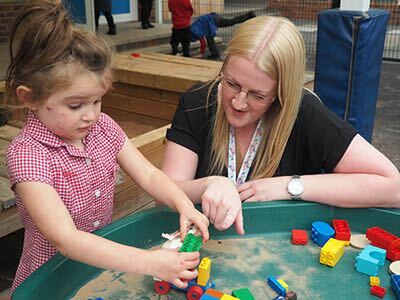 We value parental contributions to learning – please share any learning, exciting activities or news with your child’s class teacher! 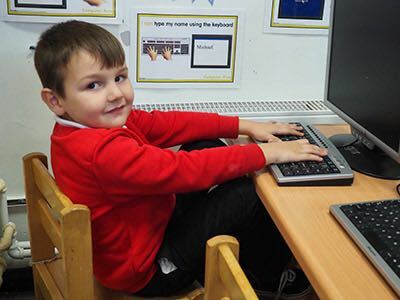 Children will also need support with their phonic homework and reading their books. Please speak to your child’s class teacher if you require any support or help with this. Once the children are settled into school, parents are encouraged to take advantage of our stay and play sessions. 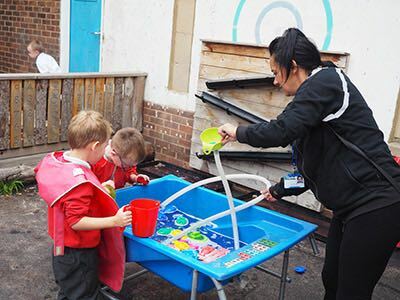 What a fantastic opportunity to play with your child and their friends, watch how your child interacts at school and have the opportunity to informally speak to your child’s class teacher and key worker about their learning and progress. These will run on different mornings – you will be informed by your class teacher of these dates and days. Friday Assembly – Star of the week. Parents will be contacted and invited to assembly if your child is star of the week.